Missed the Network Commons on October 5th? Watch the video to hear more about the work of Harris County Public Health and two other Joining Forces Grantees who are partnering with CDFIs! Obesity is one of our greatest health challenges and is strongly linked to the social and economic conditions of communities like poverty, safety, and food access. In fact, at least half of all health outcomes stem from the social determinants of health. So how does public health, with the mission of preventing disease and injury, begin to address social and economic conditions in order to move the needle on health challenges like obesity? This is the question that a group of national foundations asked when they launched the BUILD Health Challenge last year. The BUILD Health Challenge is a national awards program supporting “bold, upstream, integrated, local, and data-driven” (BUILD) community health interventions in disadvantaged neighborhoods that improve health by directly addressing the social determinants of health. Pasadena is the second largest city in Harris County, Texas, located about 20 miles southeast of downtown Houston and known locally as a petrochemical industry hub. The north side of Pasadena, its original thriving downtown, fell into disuse after state highway construction in the 1950s drove new development south. The effects can still be seen today: the achievement gap in north Pasadena is at 40%, over 1/3 of census tracts are at 30% poverty, 19% of people live in food insecure homes, and levels of unhealthy weight among children are higher than the Harris County average. The Harris County BUILD Health Partnership was formed to address childhood obesity in north Pasadena by directly improving social determinants, starting with a new healthy local food system. Our VISION: nutrition equity in north Pasadena. The cornerstone of the new food system is north Pasadena’s first urban farm, designed as a sustainable local source of fresh produce for grocers, retailers, food pantries, and residents. The farm will hire locally and also include a classroom for teaching agricultural technologies. We already have new interventions set-up in schools and clinics to drive residents to fresh produce. Constructing, scaling, and sustaining the urban farm is essential to achieving our BUILD vision. But, after a year of planning and some roadblocks in financing and site acquisition, we realized that it also takes a new set of partners – partners with a common mission of investing in disadvantaged areas and the know-how about capital projects with social impact goals. Partners like community development financial institutions (CDFIs). The Joining Forces Planning Grant (JFPG) is supporting our BUILD Partnership to develop a business plan for the farm by joining forces with community development . Through it, we’ve engaged local, state, and national CDFIs to help mind-map our business plan on domains such as governance, financing, and metrics. We’ve also mined the community development literature for models and taken a page from their playbook by placing residents at the head of the process. We find more common ground. 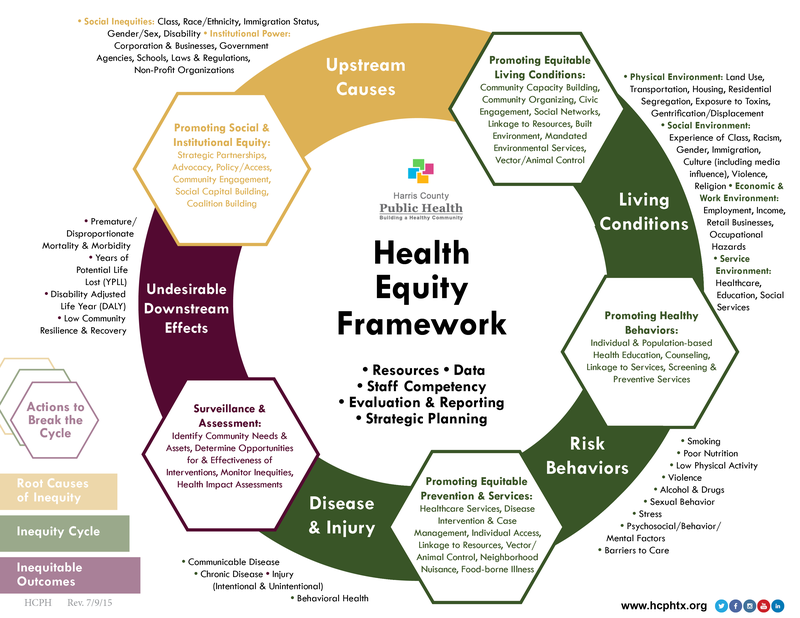 Harris County Public Health began a deliberate re-focusing to health equity in 2014. Since then, we’ve been transforming our people, policies, and place-based work with a health equity lens. Our understanding of health equity pinpoints inequitable neighborhood conditions as a root cause – the very same root cause that CDFIs work to improve. Recognizing the common space of public health and community development has revealed new pathways for our health equity goals. We have a new narrative. In the beginning, we’d describe the benefits of our urban farm (to stakeholders or funders) as primarily access to fresh produce in a food desert, as the production arm of a new food system to reduce food insecurity. Mind-mapping with CDFIs has expanded this narrative. We no longer stop at food access or insecurity, but instead emphasize that investments in our urban farm are investments in new jobs, new job training, wealth creation, and a more equitable economy; and this narrative opens up new stakeholders and funders. CDFIs are also recognizing the transformative potential of food enterprises (See Michigan Good Food Fund). We are measuring success differently. Where new common ground and a new narrative converge is with measurement. CDFIs and others in community development define impact as change in the social and economic determinants. How could we apply this approach to an urban farm? Going forward, we intend to include economic impact measures more explicitly in our evaluation and in our business plan. New jobs created and sales of fresh produce will be the beginning. Though still underway, our project is clearly benefiting from the CDFI voice at the table. CDFIs bring technical resources (market analysis, ROI, guidance from the field) that inform project design as well as direct financial resources (low-interest loans, lines of credit) that help communities (and the local health departments that serve them) build credit, capital, and confidence in their health future. The kinds of resources that can help a small urban farm in an overlooked area of southeast Texas realize its vision of curbing one of our great health challenges. Harris County Public Health is the county health department for Harris County, Texas. We provide comprehensive public health services to a jurisdiction of 2.2 million people through a budget of over $80 million and a staff of over 700 public health professionals. We were named the 2016 Large Local Health Department of the Year by the National Association of County and City Health Officials (NACCHO). 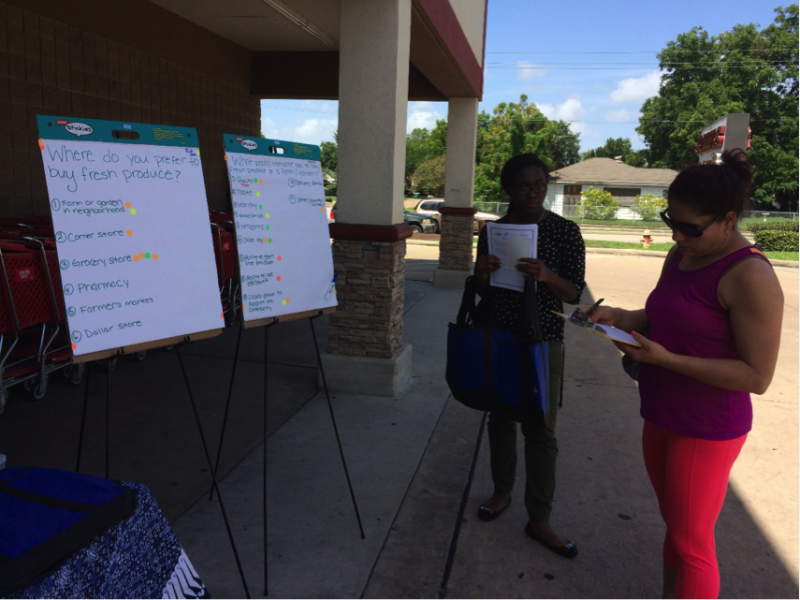 Top caption: Community engagement is central to the Harris County Public Health Joining Forces Planning Grant. Above, student intern, Ashley Ofori (center), surveys local residents about where they would prefer to buy their fresh produce in north Pasadena and why. Jennifer M. Hadayia, MPA is the Senior Policy Planner for Harris County Public Health, where she leads internal and external planning initiatives, including serving as the department’s Health Equity Coordinator and Public Health Accreditation Coordinator. Jennifer has over 17 years of public health experience at state and local health departments as well as national non-profit organizations in a total of five states and the District of Columbia. In her career, Jennifer has overseen clinical preventive programs, community coalitions, strategic planning, social marketing campaigns, evaluation initiatives, and policy, systems, and environmental change efforts. 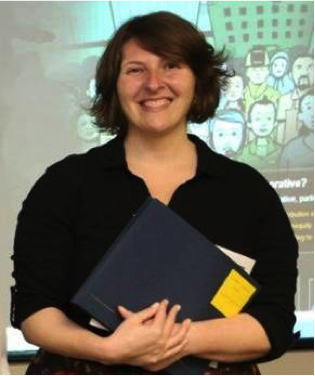 Jennifer received her MPA from Columbia University, her BA from Yale University, and is a graduate of the Great Basin Public Health Leadership Institute.